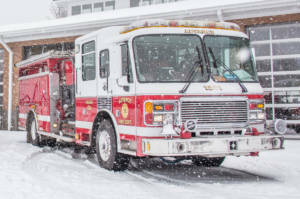 Ladder 12 is a 1987 Spartan-LTI 85’ Rear mount Ladder Platform. 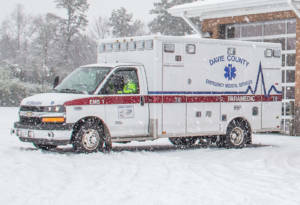 This truck responds to all comical calls and most all working structures throughout the Eastern side of Davie County plus neighboring Counties of Forsyth, Davidson, and Rowan. 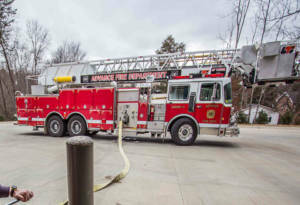 This truck carries a large array of ground ladders, 5-4.5 Scott SCBA, High-Angle Rope Rescue Equipment and Rigging, Ventilation Fans and large vent saws plus a concrete cutting saw. 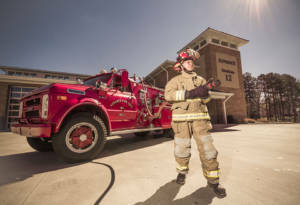 Brush 1209 is a 1976 Howe Loadstar 1600 4X4 350gpm/ 300gal pump on the roll Brush attack unit carry a large array of Forestry equipment with several hundred feet of 1” hose, backpack blower, forest rakes, multiply Saws with Chaps and safety equipment. 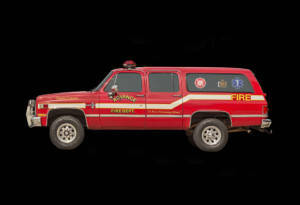 Squad 12 is a 1999 Chevrolet Suburban 4X4 2500. 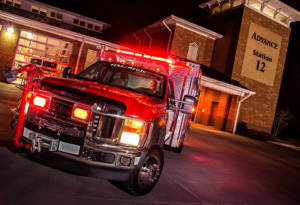 This unit is used for Medical response and support staff, carries Medical Response Bags, Suction Units, O2 Bottles, AED, SCBA Bottles, Lock-Out Kit, Rescue Gear PPE and SARE Helmets, 1-4.5 Scott SCBA and MEGA-MOVERS. Safety House 12 is a 2003 33’ HS2 Trailer by Surry Safety. 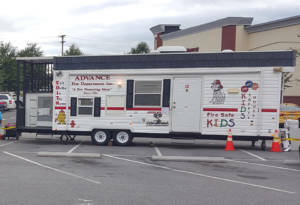 This is our Public Safety Trailer that is used at most all the schools and special events in Davie County, our Pub-Ed Staff provides fire safety tips and community educational programs to large audiences multiply times a year This trailer can also provide server weather training as well as fire training. 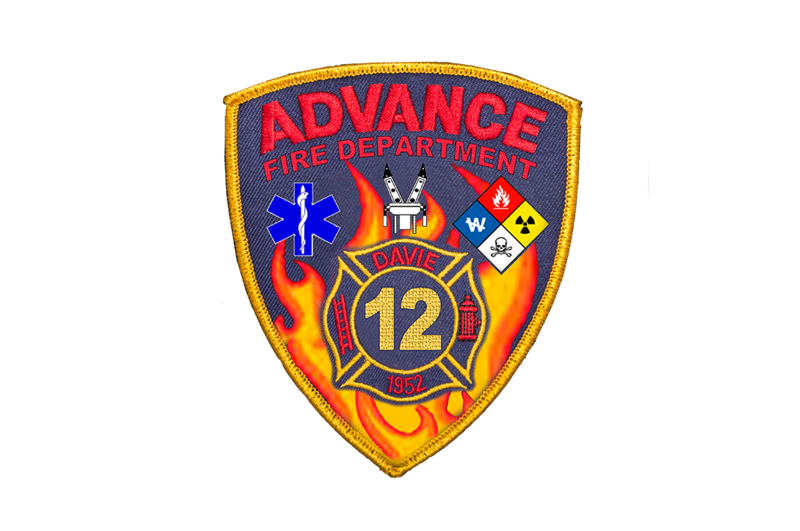 They will instruct a minimal of 1,500 student and adults each year. 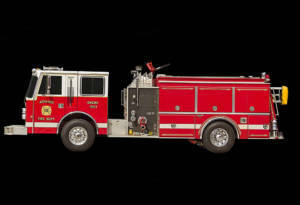 Engine 1202 is a 1969 Howe Chevrolet C-60 750gpm/ 800gal. 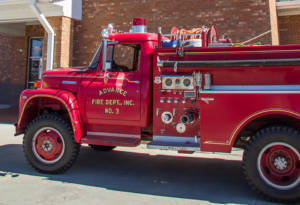 This unit has minimal equipment due to being a reserve apparatus, this was our first custom built pumper for our department.